I was born on Father’s Day and my dad always said that I was his best gift EVER! I seldom have “birthday cake” and usually have gooseberry pie to celebrate my birthday. I have taught or facilitated graduate classes as an adjunct instructor for the past twenty six years. I have participated in summer workshops or classes every summer but one for the past twenty eight years. One of my favorite songs is “Pomp and Circumstance” and I have worn a cap and gown five times. 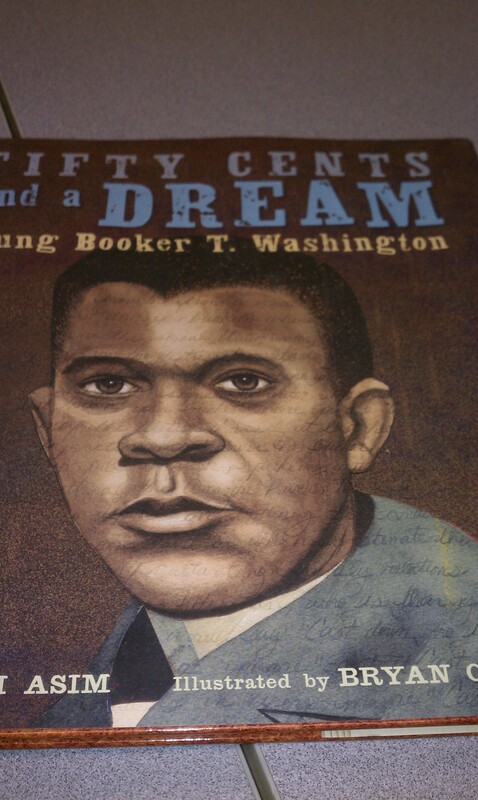 I really LOVE to read and wish I could think of a marketable book to write in order to be a published author. Of my nominators, I have only met Jamie face-to-face. I know Vicki and Julianne through their blogs and tweets and our #wrrdchat last summer. 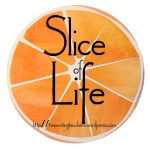 My goal is to respond to at least one blog every day in order to encourage others to continue writing. I love technology when it does exactly what I want it to do! Because I had three different nominations, I am going to change the rules and answer 4 questions from each of my nominators! 3. What’s your favorite ‘get to know someone new” question? I love “Two truths and a lie” because it requires close listening and a bit of creativity! 6. Now, what’s your dream job? I would love to be president of my own teacher education college in order to provide an education that would truly prepare teachers for their future jobs. 9. What’s your favorite thing to cook? My daughter-in-law’s corn dip that goes in the crock pot! – Simple and YUMMM! What did you learn from your mother? 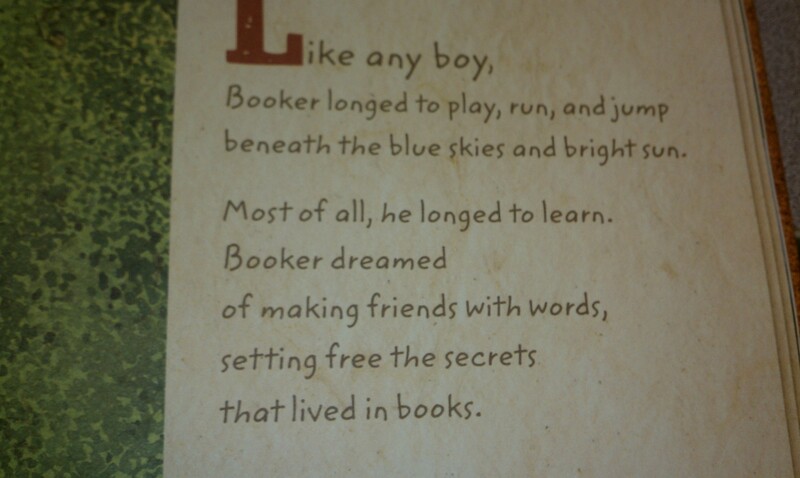 That reading a good book was more important than cooking or cleaning and a lot more fun as well. What do you do to recharge? Attend high school or collegiate football games or wrestling meets, read my Twitter chat stream and chat with friends! 2. Who was your hero growing up? My grandmother on my mother’s side who was a teacher, had 10 children, 56 grandchildren and always knew all of our names and birthdates! 5. What motivated you to start blogging? In order to talk with teachers about writing, it was important that I spend time writing as well! 9. What technology has made your life better? Skype – being able to visit with my son overseas and his lovely wife in Kentucky are fun because of skype! 10. 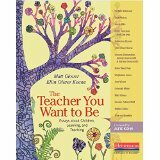 Why teaching? In third grade I wrote the traditional “When I Grow Up” paper in which I said I would be a teacher or a nun. Too many raps on the knuckles with a ruler knocked out the nun. 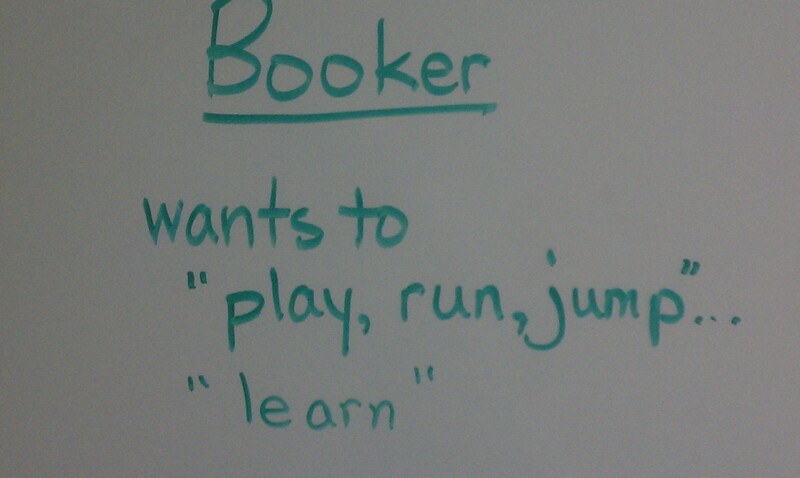 I have been teaching in some format for 30++ years! Rusha Sams @RushaSams Oh the Places We See . . .
1. What is your most treasured piece of writing? 3. What would members of your family say that you are somewhat obsessive about? 4. What book should never have been made into a movie? 5. What are the defining qualities of a “good book” in your own opinion? 6. What is your favorite sport and why? 8. What life accomplishment are you most proud of? And why? 9. What one word would your best friend use to describe you? 11. 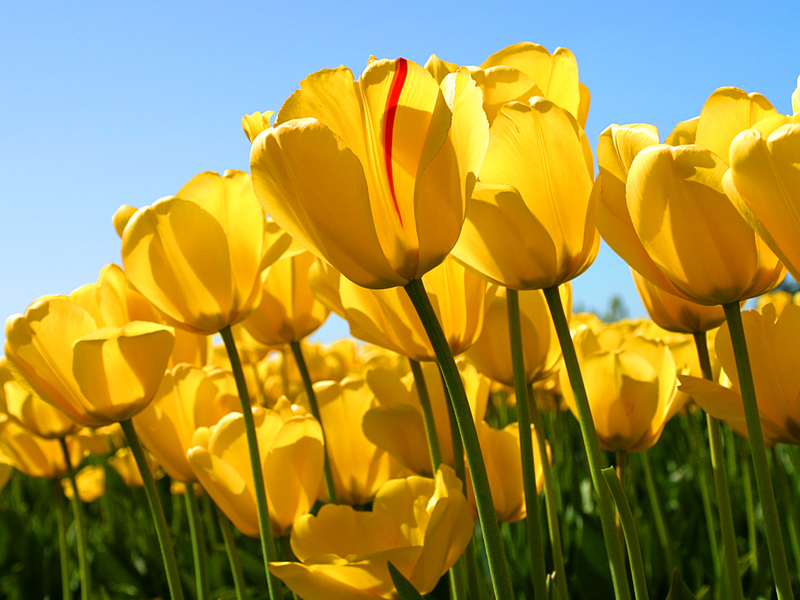 What outdoor temperature range would be your ideal year round temperatures? 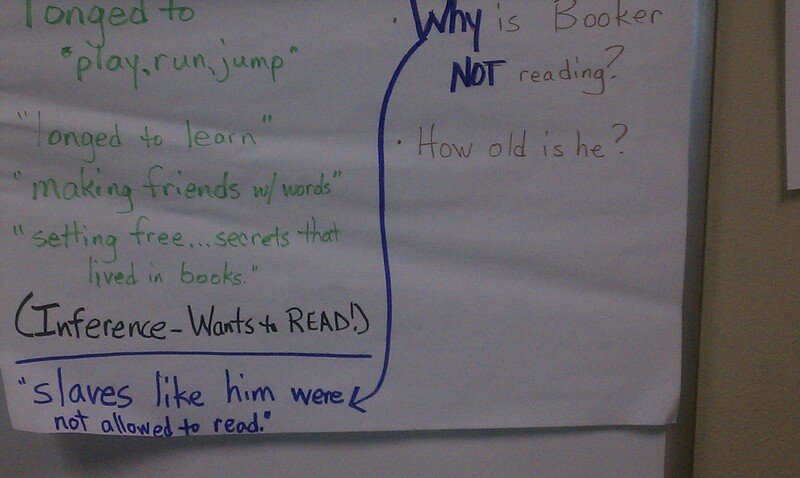 How do we truly ensure high learning expectations for our readers? 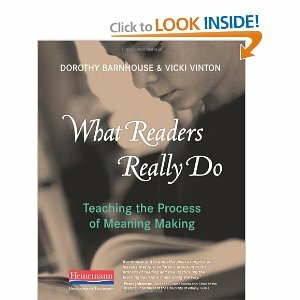 After two weeks with friends on a twitter book chat #wrrdchat, discussing What Readers Really Do by Barnhouse and Vinton (@VickiVintonTMAP), I must confess that I do need to return to a classroom and work with students. 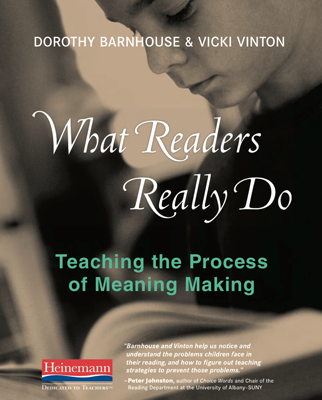 The whole process of making meaning from written symbols is simple for some students, but oh, so confusing for others. Confusion could come from the words – long or short – many words have multiple meanings and then only the surrounding words in the sentence or paragraph can truly help tease out the specific meaning. Confusion could also arise from the lack of pictures as students move through the grades and the levels. 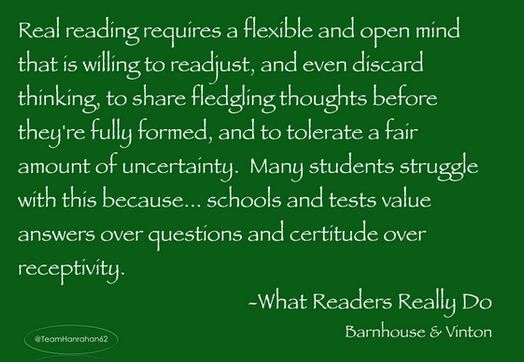 Or it could simply be that reading is HARD work! So on with it! Get to the point! 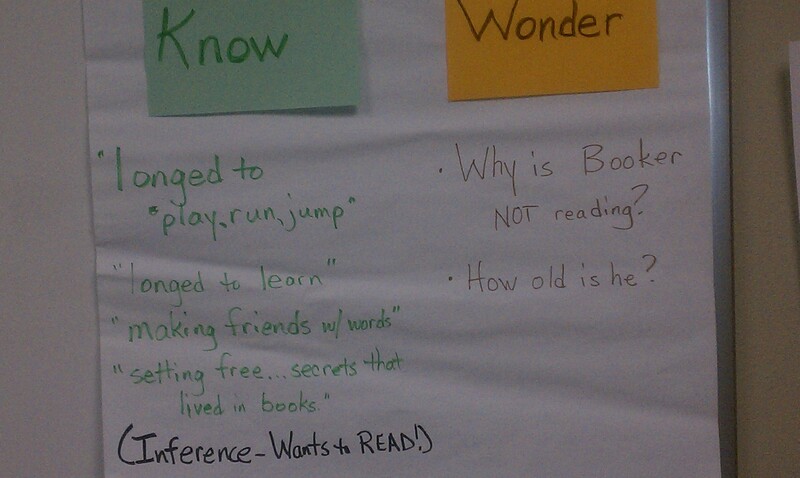 How do I use a “Know and Wonder Chart” to help students understand? I will begin with the text Walk Two Moons brought to my attention by a Barbara O’Connor blog here. Then I will build a Know – Wonder Chart based on the “setup” to look for patterns. Here is what my chart looked like in its first draft. In the “setup” I have learned a lot about Sal in the first two pages of this book. I know she is a country girl and her name is Sal. Her dad is in the story as is “a lady” named “Margaret” with “wild red hair.” I was wondering about the main character’s name each time I generated questions. my biggest “wonder” is “Where is Sal’s mom?. I am going to have to keep reading to find out more about the “setup” (who, what, where, when, etc.) but also to find out if any of my hunches “come true. I will also be looking for patterns where the author tells me or sets me up to discover the meaning that is hidden in the words. 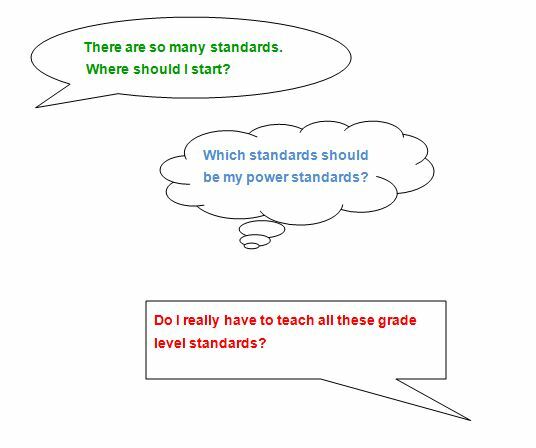 How will I assess this “Know and Wonder” work with students? My formative quick check at mid-workshop interruption will be: “Thumbs up if you have jotted down an idea from your reading. Point to head if you added to “wonder.” Tap finger on your shoulder if you have added to or found a new pattern.” (Some use of visual/gestures would give me a quick look at status of class.) 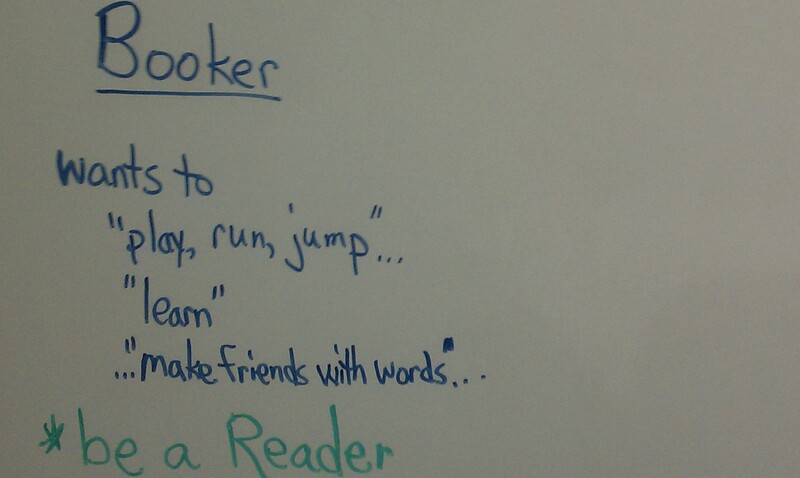 Students could also add other ideas to “self-assess” in their book clubs if you are using them. In the beginning, I believe that any student who adds to their chart in terms of “know, wonder, or arrows/comments for patterns” will earn a star. It is the beginning of the book. The assessment will evolve! The assessment process – When students do this thinking in jotted notes in their Reader’s Notebook, they will be meeting the standards of CCSS and exceeding them. No bubble tests required! 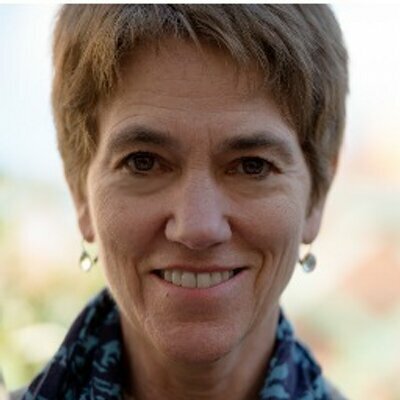 How would you assess “Know and Wonder” charts? What has worked for you? I have learned during this study of What Readers Really Do is that my reading is really from the “inside out!” Thank you @Teamhanrahan62 for that idea. 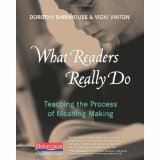 I have also learned that this work is hard and the reader must be trusted to do the work (@VickiVintonTMAP)! (And I apologize in advance because I will not remember everyone from the chat in this post!) From my #wrrdchat mate @brettelockyer I have learned new vocabulary as well as the value of a conversation around a text for deeper learning. 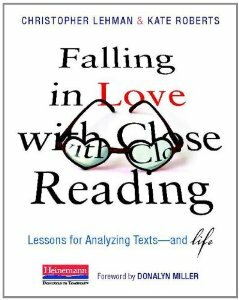 Thank you for the mention of this book in NYC @azajacks and special thanks to @rscalateach for developing and implementing a book study plan! 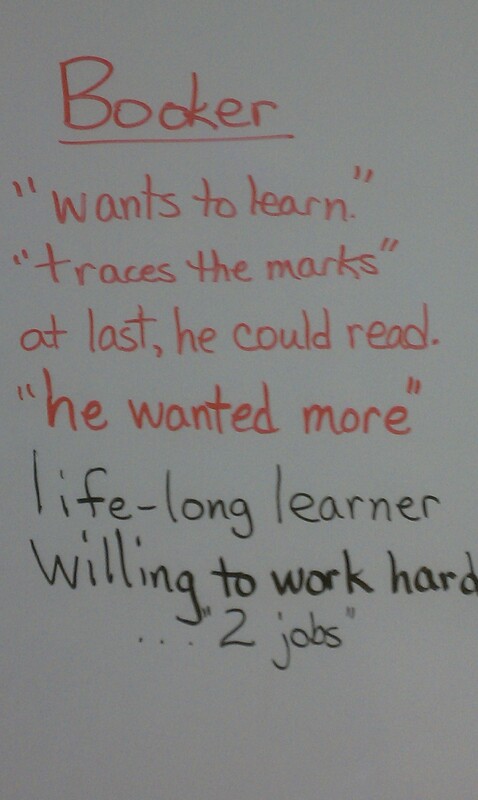 Reading a blog from a voracious summer reader, @jarhartz, who wrote about “Yet” – and commented on an old post of mine yesterday, the idea of this post was born. Thank you all, #wrrdchat mates, this study has been a wonderful summer learning opportunity!